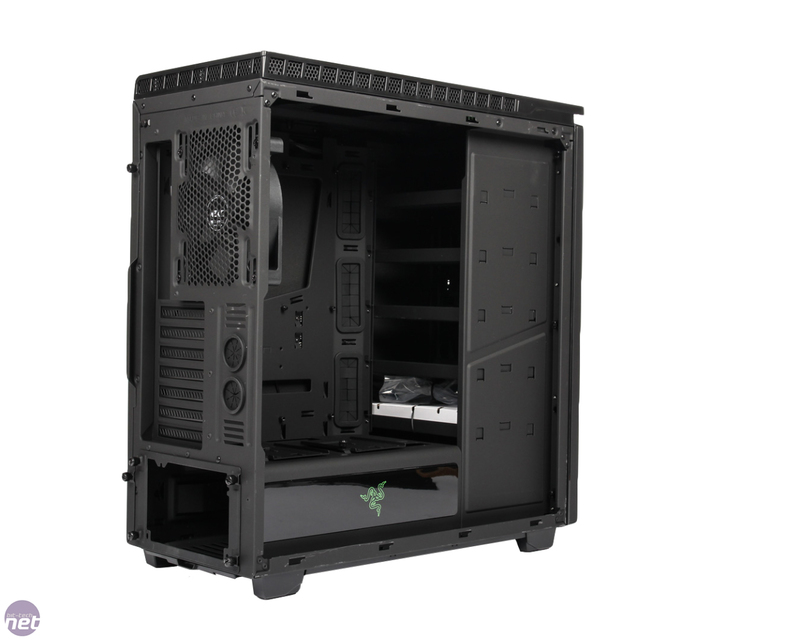 The H440 chassis is an interesting one as far as expansion goes. 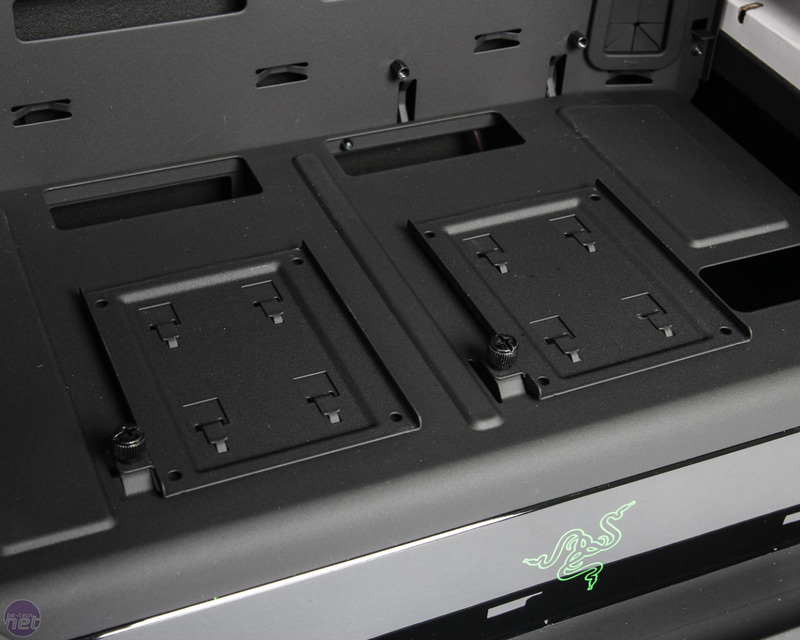 There are two dedicated 2.5in mounts for showing off your SSDs through the side window and these are located on top of the PSU cover. It's a shame you need to screw the SSDs to the drive mounts, though - a tool-free installation would be useful here. 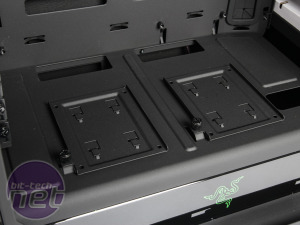 However, it's the individual drive mounts located behind the front panel that offer a fair degree of customisation as far as water-cooling goes. There are six of these mounts, which support either a single 3.5in or 2.5in drive but unlike most other drive mounts we've seen, these are all individually installed. 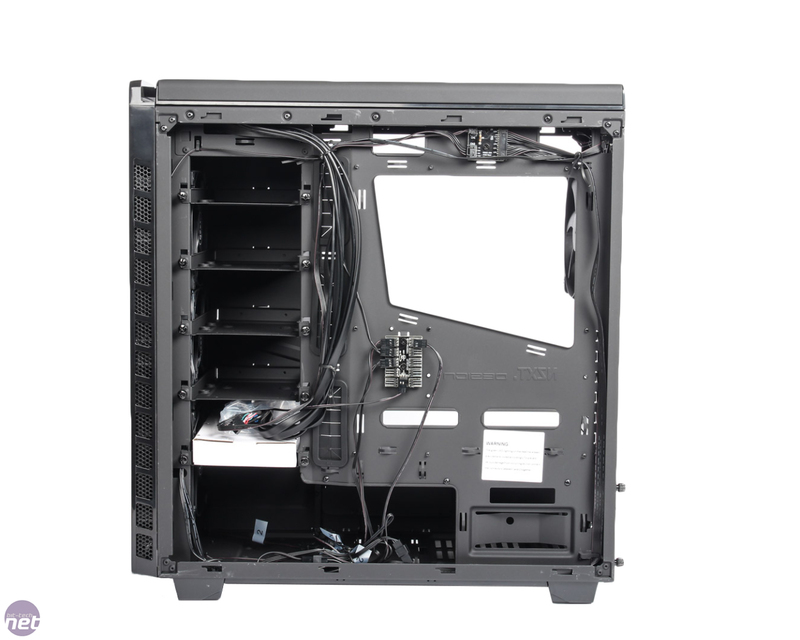 The result is that you don't need to loose half your drive bays if you want to make room for a longer graphics card. 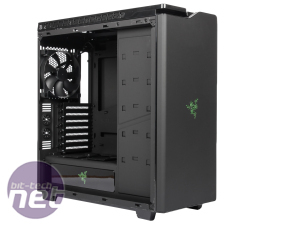 Likewise, to make use of the fan mounts in the front of the case for installing radiators, you can just remove the lower mounts and still have one or two at the top, but have room enough for a double 120mm-fan radaitor. 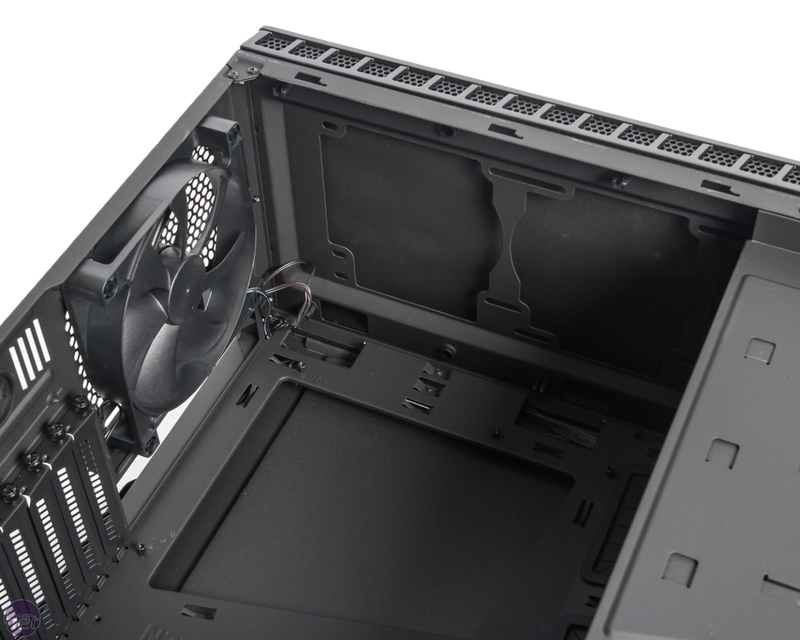 Out of the box the H440 Special Edition includes a generous trio of 120mm fans occupying all of the front fan mounts while alternatively you can use two 140mm fans here instead. 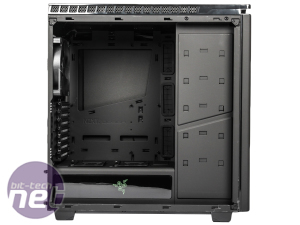 As such, there's room for triple 120mm-fan radiators if you remove all the drive bays or a double 140mm-fan radiator plus there's plenty of room for full height models and even two rows of fans. 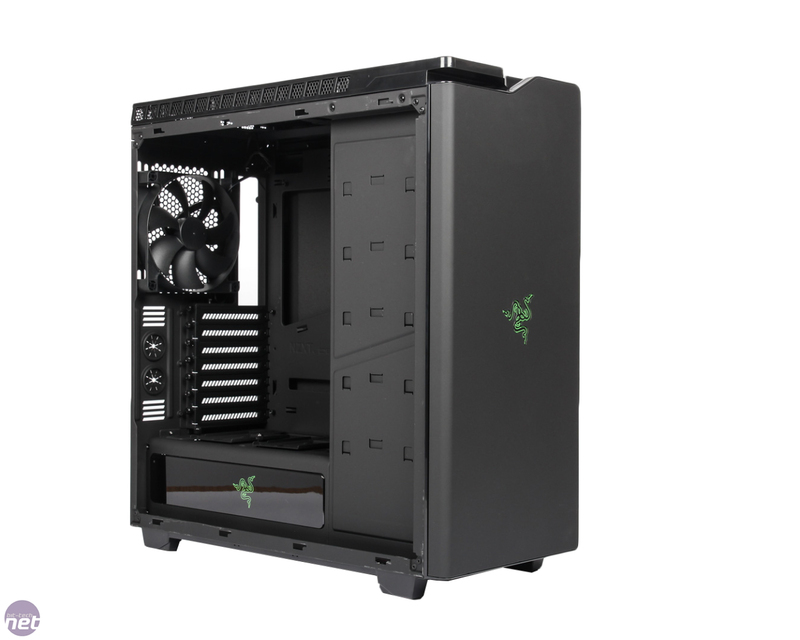 The roof sports an identical arrangement, except no fans are included here plus you'll be limited to a half-height radiator due to the proximity of the motherboard. 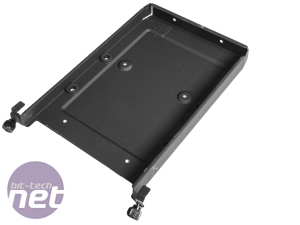 The final fan mount is located in the rear and supports a single 120mm or 140mm fan with one of the latter included as standard. 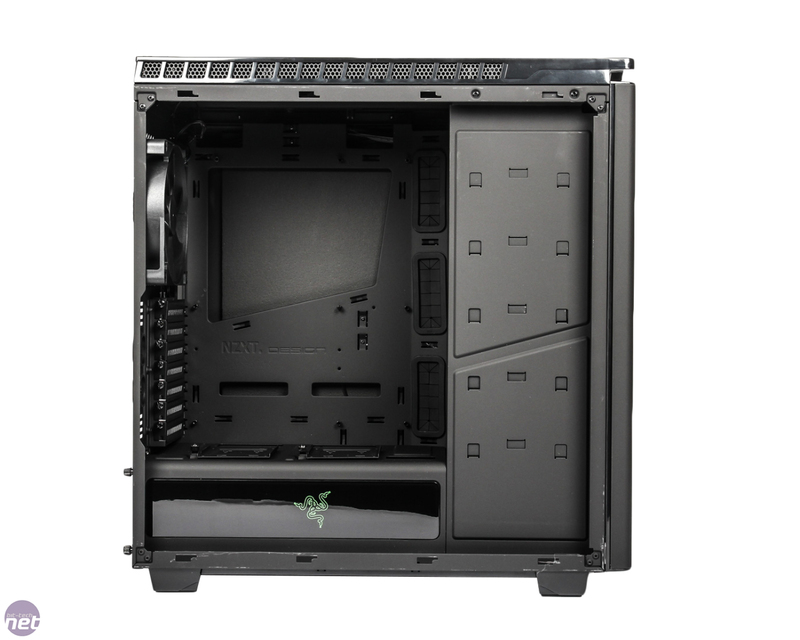 The inside aesthetics are helped a lot by the covered PSU and combined with plenty of cable routing options, building a tidy PC should be pretty easy. 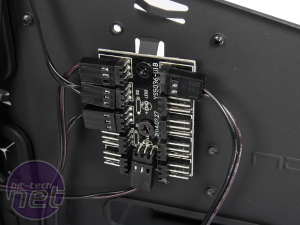 The only issue we had here was a narrower than average area behind the motherboard tray, which meant any connectors left here had to be placed carefully otherwise the side panel wouldn't close properly. 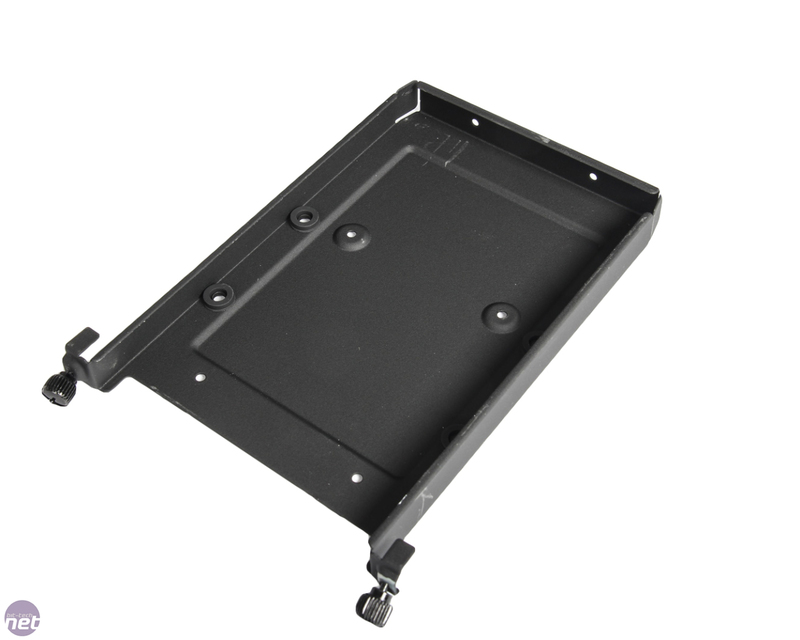 However, you do have the huge void under the PSU cover to fill so even the lasiest PC builders have no excuses. 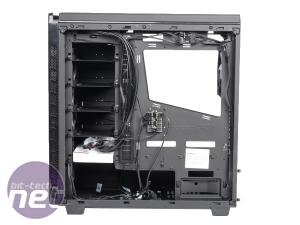 An added bonus is the inclusion of a 4-pin molex-powered 10-port fan hub behind the motherboard tray. 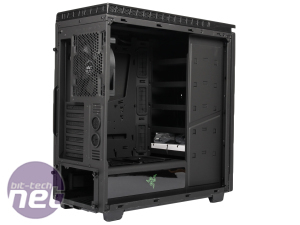 It has a combined power limit of 30W - enough for 10 average 120mm fans or even a water-cooling pump plus a couple of radiator fans. 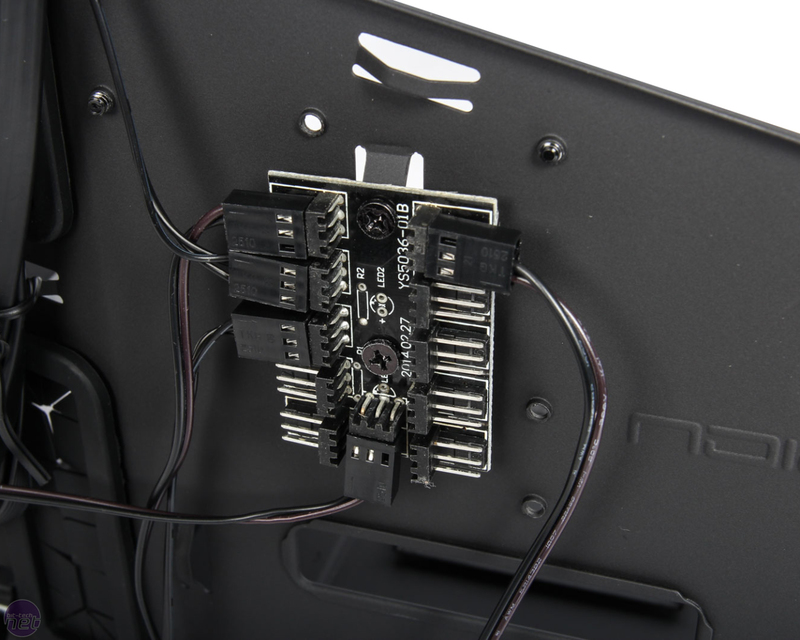 However, the main benefit is that you won't have to run fan cables to your motherboard - you can just pass them through to the hub to keep the view on the other side as clutter-free as possible.